That very sharp looking masthead on Carolina Mountain Dog... the one with the fabulous photo of the Carolina mountains at sunset and our very own late and great mascot, Chester the Carolina mountain dog... can be yours on exclusive merchandise from the Carolina Mountain Dog online store! Now that's something different for the holidays! Calling All Pet Lovers! Miss Marlee, the Min-Pin wants to invite you and your two-legged friends to a fun Christmas Costume Pawty, Photoshoot Event with Santa Claus, and Fundraiser for The Asheville Humane Society. It will take place at Catawba Brewing Company on the South Slope in Asheville, 32 Banks Avenue, #105, Asheville, 28801, on Saturday, December 8 from 12 to 4 PM. The Pet Costume Pawty will be juried and winners in categories with receive treats and prizes. In addition, Catawba will be donating $1 for each pint of Zombie White Ale to the Asheville Humane Society. Forever Friends Photography Services will be offering Photoshoot Sessions from 12 pm-4 pm on a first-come-first-serve basis. Each high-quality digital image will be processed and emailed to you for you to download and easily print. The cost of each image is $10.00 (minimum of 3) and credit cards are accepted. They also donate 10% of the proceeds to the Asheville Humane Society. So bring your Furry Friends in costume, pack up the kids and be prepared for a Howling Good Time! Last Minute Holiday Gifts? That's a Wrap in Waynesville, NC! If you're still sniffing out that perfect holiday gift, get on over to Mast General Store on Main Street in Waynesville. Why? Not just because you'll find some great merchandise, but you can get your gift wrapped by volunteers from Sarge's Animal Rescue Foundation. Just go to the gift wrap station in the store lobby and Sarge's will do up your purchase just right -- and your gift wrap donation will go directly to Sarge's to help save the lives of Haywood County animals. Sarge's gift wrapping is available at Mast General Store, 63 North Main Street in Waynesville only during regular store hours until December 24, so hurry on over! Looking for the best chew toys for puppies? Or how about the best dog shampoos and conditioners for dogs? You might even want to find the best boots for your doggie to wear this winter. Now a website reviews all sorts of doggie products so you don't have to. "The Goody Pet" is a pet product review site that buys products at full retail prices and does not accept sponsored items. Pet lovers research the products, often by speaking with veterinarians and pet owners. Then they summarize their findings for other pet lovers and post reviews on the site. Whether it's the best hands-free dog leash, the best vacuums for pet hair, or the best pet odor eliminators, The Goody Pet covers a wide variety of pet products, compares and contrasts product features and prices, and makes objective recommendations. On the right hand side of our blog page, you'll notice a section called "Support Our Advertisers." Carolina Mountain Dog carefully selects only advertisers who meet the highest standards for dog-related products and services. One of our advertisers is Cherrybrook. Founded in 1969, Cherrybrook has a long, outstanding history of serving professional breeders, show dog handlers and pet parents. Cherrybrook’s vision is to provide customers with the supplies they need to raise vigorous puppies…to turn show dogs into champions…and to keep family pets healthy and happy. Built upon high standards of excellence, Cherrybrook offers a wide selection of health and wellness products, grooming supplies, educational materials and unique gifts for pet lovers. Cherrybrook is the leading supplier of high-quality show dog grooming products that are used by top show dog professionals around the globe. 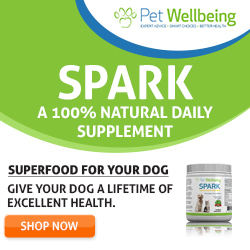 Their products and expertise can help all pets become champions! Cherrybrook is currently making a special offer to Carolina Mountain Dog readers: Simply sign up for their free e-newsletter and you'll receive $10 off your first order of $50 or more. Take advantage of this great offer by clicking the link below. Technology has come to the pet world just in time for the holiday season. Whether you're looking for an easier way to feed, care for, or entertain your dog, there are a whole host of technology-enabled items available now that you could consider as gifts for your favorite four-legged friend. Not surprisingly, the same people who own dogs often care about the environment. Loving and caring for an animal demonstrates a certain respect for living things and a sensitivity to our earth and its precious resources. Dog owners who share nature with their pets are especially aware of their environment. 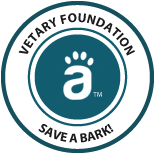 So how can you, as a dog owner, "shop green" and do your part to protect the environment? The website RetailMeNot has a helpful, detailed article called "The Ultimate Guide to Shopping Green for Your Pet" that shows you how to do just that. The article discusses the things that make a pet product green, how to find "green" pet food (with some great advice about food ingredients and additives), shopping for green playthings, choosing the right kind of pet beds, and more. It even has a handy green checklist for buying pet products. Read this great article here. UK company Terry's Fabrics has come up with a very creative, unique infographic that features doggie beds, sofas, feeding stations and more that look great, fit into your home, and still make your dog feel comfortable. According to Terry's Fabrics, "many dog beds and baskets are boring and won't fit with your super-stylish homes. As animal lovers and fans of creative interior design we thought we'd give you some great examples of the more creative ways people have incorporated their dog's furniture into their home." It is estimated that 1.2 million dogs are hit and killed by cars every year. Long work hours, strict off-leash laws and short days often mean people are walking dogs at night. "Shine for Dogs" has the answer -- and it's a win-win for the dog lover. The company's products use rechargeable fiber optics to cast a bright light from collars and leashes. Plus, the company promises to donate $10 for every item sold to shelters and rescue organizations that care for dogs. • Rechargeable - never pay for batteries again! • Use LED - Ultra bright. • Made of fiber optic strips allowing better flexibility, comfort for your dog and the current does not break when bent, twisted, or pulled. • Durable, weather resistant, and come in a variety of colors and sizes. The rechargeable LED light-up collars and leashes can be purchased on the Shine for Dogs website and at supporting pet stores and pet service establishments who believe in their cause. The first 10,000 customers who reply to an offer from Milk-Bone will get a free patriotic doggie bandana! and enter the promo code: TreatAmerican . Pinups for Pitbulls is a not-for-profit organization located right here in Asheville whose mission is to educate people about the history, temperament, and plight of the pit bull-type dog; raising awareness to rally against Breed Specific Legislation (BSL) and Breed Discriminatory Laws (BDL). PFPB’s goal is to restore the image of the pit bull-type dog to its former reputation of America’s companion animal, war hero, and family member. Pinups for Pitbulls recently opened a store in downtown Asheville, "Darlings," where anyone can shop for Pinups for Pitbulls goodies and gear for both doggies and humans. Located at 69-A Biltmore Avenue, Darlings is open daily from 11 AM to 7 PM. The store also sells merchandise online. Check out their Facebook page and online store. You'll love the new 10th anniversary edition of the 2015 calendar, with professionally photographed dogs and their pinup companions for each of the twelve months! Chester, the mascot of Carolina Mountain Dog, got a big surprise the other day: his very own personalized "Pet Gift Box" arrived! You can see here just how happy he was to get it. Pet Gift Box is a neat new concept. Each month, a box jam-packed with goodies for your doggie (or kittie) comes right to your door. The box is customized to the size of your pet and consists primarily of toys, so your pet should like to chew and play with toys. Also included is at least one bag of heathy treats. Chester's box had a wide variety of toys. He particularly liked the "knotty tug toy," a colorful rope with a knot and a ball. Great for tossing or tugging! He enjoyed chomping on the special "pup-rrr-mint" dental chews as well. This is a great way to get many products delivered to your door without going to the store. At just $17.99 per month, Pet Gift Box is a real bargain. Chester's box had a retail value of over $57. You can cancel the monthly subscription at any time, and you can also order a one-time Pet Gift Box or subscription as a gift. Special Offer for Carolina Mountain Dog Readers! Pet Gift Box is offering readers of this blog a special 25% discount on your first order. Simply use the code CarolinaMountainDog (no spaces) when you check out at https://petgiftbox.com/. Also, if you "Like" the Pet Gift Box Facebook page, you will be entered for a chance to win a free gift box. Take advantage of this special offer today for that special doggie in your life! Join Santa and Mrs. Claus as they celebrate the annual Open House and the "Santa Paws" photo session at Watauga Humane Society, 312 Paws Way, Boone, on Saturday, December 6 from 1 to 4 PM. Santa and Mrs. Claus will return to the Watauga Humane Society Adoption Center for the annual OPEN HOUSE and a SANTA PAWS photo opportunity. The price will be $15 per sitting with Santa. SNIPS will be offering their Holiday Handcrafted treasures for sale. They have been crafting all summer and fall to support public spay / neuter programs offered by Watauga Humane Society. BARE BONES BOUTIQUE Thrift Store will be having their annual Holiday Sale. Watauga Humane Society hopes you will bring holiday gifts and treats for the dogs and cats waiting for their special homes. All proceeds will benefit the animals we care for at the Adoption Center. Visit www.wataugahumanesociety.org for more information. ReTail Scene: Natural Balance Gift Pack is Perfect for Holiday Giving! The holidays are here and it's time to celebrate! We found a great low-cost, high-value gift that's sure to please any doggie on your gift list. It's the Natural Balance Holiday Pack for Dogs and it lets your four-legged friend test all the best Natural Balance has to offer at a very reasonable price. The sample pack includes a bag of limited ingredient treats, a can of ultra premium chicken formula food, and a delicious turkey food roll - a great mix for the holiday season, all packaged in a nifty carry box. (Chester, the Carolina Mountain Dog mascot, is very fond of the food roll!) Natural Balance is a brand known for the highest quality ingredients. 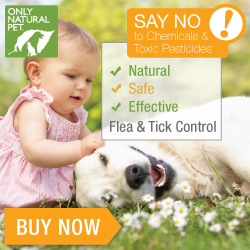 You can get the Natural Balance Gift Pack from Chewy.com, on sale now for $5.99. Chewy.com is an online store for pet lovers with over 200 brands of dog food, treats and other great stuff. Everything you purchase from Chewy.com is conveniently delivered to your door, with 1 or 2 day delivery, and free shipping on orders of $49 or more. Chewy.com offers a 100% Satisfaction Guarantee, and Chewy.com's customer service is open 24/7 and aims to please. Animal Hospital of North Asheville is accepting donations of canned or dry pet food, blankets, pet toys, and cash donations for the holiday season on behalf of three local animal welfare organizations -- Asheville Humane Society, Animal Compassion Network, and Brother Wolf Animal Rescue. Donations will be evenly distributed among the three organizations. Donations can be dropped off by the public at the veterinary hospital's location at 1 Beaverdam Road, Asheville during normal business hours (Monday - Friday, 8 AM - 8:30 PM and Saturday, 8 AM - Noon). Donations will be accepted until December 24. For further information, call Animal Hospital of North Asheville at (828) 253-3393. Black Friday and Cyber Monday Deals for Dogs! Looking for that perfect gift for your dog -- or a dog lover? Then check out Carolina Mountain Dog's great line-up of advertisers. From Patton Avenue Pet Company, a wonderful local business with its own dog park, to numerous leading online companies, you'll find what you're looking for right here! Just click on any of the square ads on the right hand side of this page to find great deals this holiday season. Happy holidays from Carolina Mountain Dog! Here's a cool idea from Better Buddies, an online pet supplies company with a heart. The company has taken discarded donated yoga mats, run them through a sanitation process, and cut each one into a handy doggie food and water mat. The new "upcycled" pet food mat cuts down on landfills, wipes off clean with a sponge, is dishwasher safe and is totally one-of-a-kind! No two mats are alike as each one is cut out from different pre-existing yoga mats. 10 percent of profits from each product are donated directly to the Guardian Angel Program at the Best Friends Animal Society, helping the most severe-needs pets find a wonderful home. Better Buddies is also giving a special 15 percent discount off all of its products to Carolina Mountain Dog readers. Just use the coupon code ADPT15 when you place your order. For more information about the mats, visit the Better Buddies website. On Saturday, August 18th, the 1st Dog Day Afternoon festival will take place at the East Green of Carrier Park in West Asheville to celebrate all things canine and support local dog rescue organizations. Animal Compassion Network, Asheville Humane Society, and Brother Wolf will be in attendance and will benefit from different parts of the festival. Each rescue group will have large adoption areas showcasing dogs ready for adoption in hopes of matching these would-be pets with a loving foster or forever home. The event will kick off at 10:30 am with a dog-friendly fun run sponsored by Dr. Kani Nicolls around Carrier Park and will continue until 4 pm with two bands, dog contests including a Weiner Dog race, “Best Heinz 57”, “Most Ear- resistible” and the Fastest Dog in Asheville Competition. The Companion Dog Training School will also host an agility course and offer training tips for dog owners. Two dog-loving bands, Xanderfly and headliner Big Daddy Love will perform on the Musician's Workshop stage. The festival would not be complete without a doggie photo booth from Flying Dogs Photography and a pretty pooch station with free nail trimming services, courtesy of the Gold Spot. Haw Creek Animal Hospital will have doctors and technicians on site at the pet first aid booth. Local businesses will vend dog-friendly wares and products. Food will be available from Our Taco Truck, El Kimchi, Roly Poly, JW BBQ, and the Hop Ice Cream, with local craft beer flowing from Highland Brewing. Cool water for dogs AND humans will be available courtesy of Earth Fare and McKinney Insurance Services. Attendees will also get to enjoy the beautiful walking trails and picnic areas surrounding the park. The festival will feature a large cooling tent as well as doggie pools to keep both dogs and humans beat the heat. Dog Day Afternoon is a free event and produced by Mix 96.5, 98.1 the River, Prestige Subaru, and other local business sponsors. For further details, visit http://dogdayasheville.com/.